Laverstoke Park’s famous organic buffalo mozzarella. 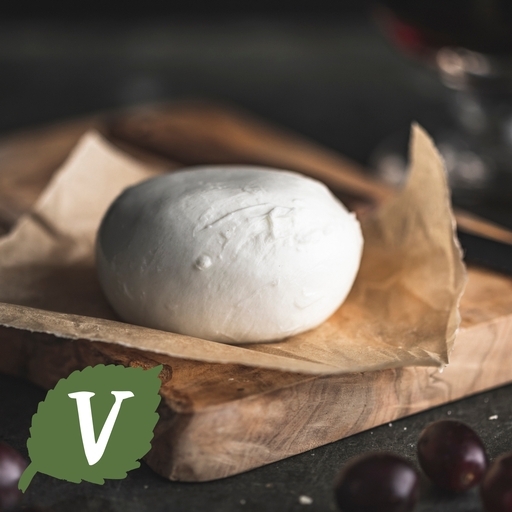 Creamy white, smooth and delicate with a slight tang, this mozzarella is the best we’ve tasted. Made from Laverstoke’s own grass-fed buffalo herd in Hampshire, the method is the same one used for the finest Italian mozzarella, but miles more local! Let it rest at room temperature for half an hour before you eat (if you can wait that long). Delectable in a salad with chopped tomatoes, shredded basil, black pepper and olive oil. For a more substantial meal, toss in a light balsamic dressing with haricot beans and grilled fennel or roasted beets. Keep in the fridge for up to 4 days. Pasteurised buffalo milk, salt* (0.7%), vegetarian rennet, cultures.